2265 County Road 4 Seneca Castle, NY. | MLS# R1159567 | Coldwell Banker Finger Lakes | 315-789-6768 | Geneva NY Homes for Sale, FINGER LAKES PROPERTIES, Seneca Lake, Cayuga Lake, All of the Finger Lakes. Looking for an immaculately maintained, recently updated, turn-key country home? 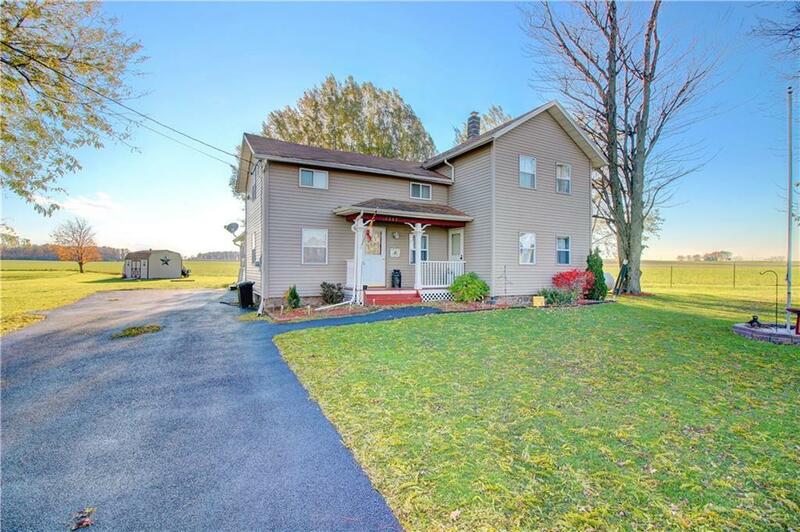 Conveniently located to Geneva and Canandaigua on 0.8 acres this lovely house boasts 4 bedrooms, 2 full baths, eat-in kitchen and enclosed back porch. 1st floor bedroom opens onto the front porch and a large adjacent laundry room which would easily convert to a full ensuite bathroom or walk-in closet. Large mud room off the kitchen provides ample storage and easy access from the driveway. Consistent updates include 16x16 deck (2009), a quality space to support your outdoor living and entertaining lifestyle. Bathrooms remodels in 2011 & 2016, new roof (2012), large new kitchen (2013) has stainless steel appliances and recessed lighting, Asphalt driveway (2015), new carpet (2018). This home is worth seeing!